On this episode of The GAP Luke Lawrie and Joab Gilroy went down to RTX Sydney where they checked out what was on offer at the expo. 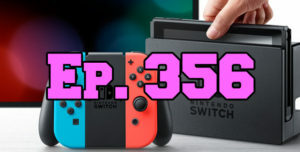 They also talk about the games they’ve been playing which includes Ghost Recon: Wildlands, Sniper: Ghost Warrior 3, Big Bash 2016, Think of the Children, Blind, Conan Exiles, and hands on with the Nintendo Switch. Over in the news the Zenimax and Oculus lawsuit ends, and a Youtuber pleads guilty to online betting offences. Lastly with a beer in her hand Ashley Jenkins from Rooster Teeth has a quick chat to us about some of the things she’s been up to lately. This episode goes for 2 hours and 30 minutes, it also contains coarse language.